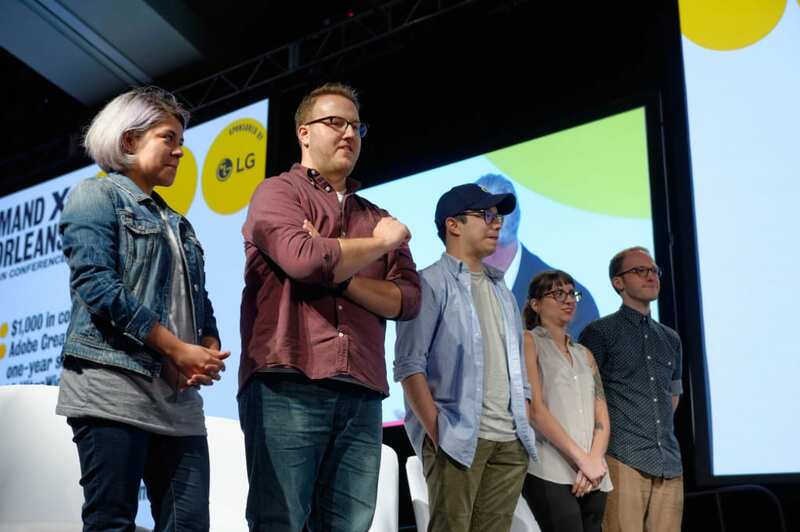 Each year Command X, AIGA’s reality show-style, live design competition pits seven young designers against one another in daily elimination challenges, and is one of the most anticipated events at the AIGA Design Conference. Last week we introduced you to the contestants, and just a few days ago we sat rapt as the host, the ever-charming and enigmatic Sean Adams (former president of AIGA’s national board) and a star-studded panel of judges—Aaron Draplin, Robynne Raye, Gail Anderson, plus a special guest judge each day—took over the stage. Read the rest here. Command X contestants awaiting their fate.